"Work hard, rock hard, eat hard, sleep hard, grow big, wear glasses if you need 'em." With this fearless credo, Webb Wilder has been playing his own brand of country-accented, retro-styled rock & roll since the '80s, and created a tongue-in-cheek but larger-than-life persona to go along with it. Webb Wilder was born John McMurry in Hattiesburg, Mississippi on May 19, 1954. His aunt, Lillian McMurry, was a co-founder of Trumpet Records, a short-lived but influential label that released seminal sides by Elmore James, Little Milton, and Sonny Boy Williamson II. 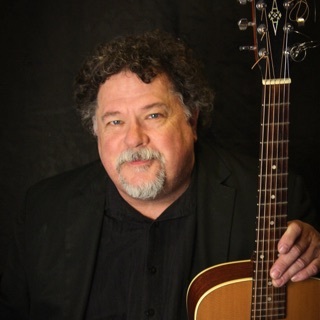 John inherited her taste for classic blues, R&B, and country sounds as well as soaking up the influences of the British Invasion bands that were dominating the airwaves as he came of age. In his early teens, McMurry formed a band with his close friend R.S. Field, and in 1976 the two moved to Austin, Texas in hopes of making a dent in the city's music scene. That didn't happen, but their luck changed when they returned to Hattiesburg and formed the Drapes, a rootsy rock band that developed a loyal fan following. By the mid-'80s, the Drapes had run their course, and McMurry moved to Nashville as he pondered his next move. McMurry fell in with a group of student filmmakers who were working on a short comedy about a private eye who played rock & roll, and he landed the lead role, playing a character called Webb Wilder. McMurry connected with the character so strongly that he began playing shows in character, a bespectacled, Fedora-topped rocker who declared himself "the last of the full-grown men." Webb Wilder and his band the Beatnecks became cult favorites in Music City, and in 1986 they dropped their debut album, It Came from Nashville. Fans and critics gave the album an enthusiastic reception, and Webb Wilder jumped to the major labels when Island Records signed him up, releasing his second long-player, Hybrid Vigor, in 1989. While the album wasn't a major success, the cult of Webb Wilder continued to grow, and the Nashville indie label Praxis issued Doo Dad in 1991. Wilder appeared in another film, Paradise Park, in 1991, and the following year he released Corn Flicks, a video collection including three short films featuring Webb Wilder. In 1993 Wilder appeared in the Peter Bogdanovich film The Thing Called Love, a story set against the backdrop of the Nashville music scene that starred River Phoenix, Sandra Bullock, and Samantha Mathis. Wilder jumped to the Texas-based roots music label Watermelon Records for the 1995 album Town & Country, with Acres of Suede following in 1996.